One of the best happy hours on Capitol Hill, this Indian-inspired restaurant now runs bar discounts all night. This is especially good news for vegetarians who are looking for more than the usual hummus platter or mozzarella sticks on the menu. A common happy-hour complaint is that vegetarians often feel like second-class citizens at bars with noshes that seemed cobbled together at the last minute. Not the case here. Expect paneer with smoked tomato sauce and dosa with beet sesame spread. Or get a Nannwich, a wrap stuffed with chicken or pork. The non-meat option comes with Poppy’s popular eggplant fries, along with an egg, pickled cabbage, cucumber and tahini sauce and a mango sauce. It’s served with a side of harissa. Drink specials range from $5 beers, $7 wines and $9 cocktails. The bad news is this late-night deal only runs until April 4. This Old World-inspired biergarten started all-Monday-night happy hour, a $6 menu that includes duck meatballs, beer-battered Beecher’s curds and sliders and chicken sandwiches. The beer list features more than 80 beers on tap or in bottles, including many imported brews from Germany, Belgium and Austria if you need the liquid courage to polka. Uneeda Burger got our vote in a burger showdown last year. Many fans don’t realize Uneeda owner Scott Staples also runs another burger joint in the Central District. If you’ve never been to Feed Co. Burgers, here’s your chance to check it out on the cheap: The $10 happy-hour deal is a burger with fries and choice of beer, wine or soda. Also $1 off on chili cheese fries, veggie tempura and beer and wine by the glass. Feed Co. gets points for carrying Crystal, arguably the best hot sauce in America. Toulouse Petit has such a monopoly on happy hour around Lower Queen Anne that locals forget there are other options if that watering hole fills up. Here’s another newcomer, by way of Everett, hawking popular Japanese bar food such as $6 yakitori and chicken kaarage and popular rolls such as spicy tuna and California ($7). Or get a six-piece sashimi set ($11). 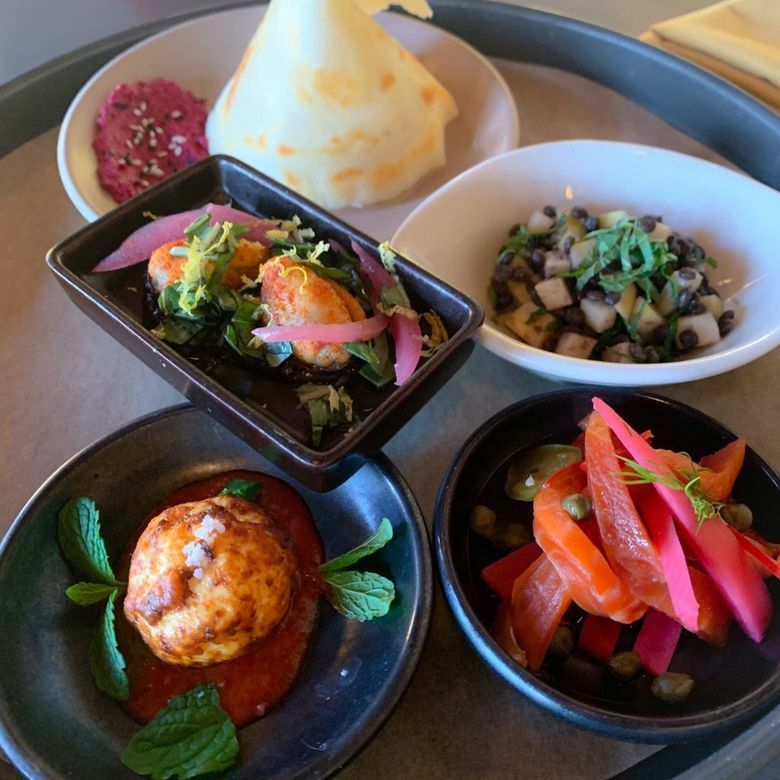 The Phinney Ridge spot is open again under the new ownership of chef Ayhan Barlas (formerly of Daniel’s Broiler) and Levent Sahin who have started an $8 bar menu. Try the Turkish eggplant ragout Saksuka or traditional pub fare like truffle fries and fried calamari. Wines and cocktails go for $6. The Tex-Mex restaurant celebrates its one-year anniversary in Bothell by launching a $7 happy hour including tacos, chipotle wings and asada fries as well as margaritas and sangrias.